It's the week to spread the love! 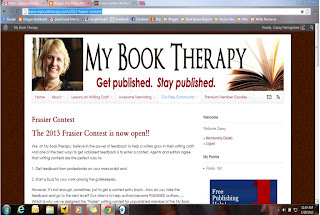 Today I'm swapping blog dates with Krista to chat with you about the My Book Therapy Frasier contest (which is currently open for entries). What is the best way I could think of to share with you why I love this contest so much? 1: The challenge. You have one scene. One POV. 1500 words (excluding synopsis). Yes, it's a small amount of word count and the one scene rule can be restricting, but what can you do with what you've got? Have you learned to include the story elements that will make your story stand out to the judges? If you have the MBT First Chapter Checklist, pour over it: this is what they are going to be looking for. Take the challenge. You can do it. 2: Depth. Your second reason to fall in love brought to you by Mary: For me my depth of story increased significantly after participating in the Frasier. The feedback is great but it also leads to further investigation about the story question and how to craft the right words to draw the reader into a sensory experience. 3: Experience. Of all the contests I have entered, I would point the newbie contest goer to this contest first and foremost. The other contests I have entered can be more cut throat and geared more toward the "score". One of the things I have loved about the Frasier is that they are geared to teach. From the score sheets to the judges taking a bit more time to make comments on the document, it's all a good learning experience for the value of a contest. 4: Motivation. Sometimes we just need a little bit of a push. A push to either keep writing or change what we need to fix to get that much better. Even if we don't always agree with what the judges have to say, it's feedback. And feedback, is often gold. Yes, it's subjective, yes sometimes we don't understand why judges judge the way they do, but keep that feedback. Keep looking back over those comments and use them as fuel, even if you don't agree with them. 5: Final Round Judges. This is the reason all people enter all contests: the final round judges. And we always look to see who those people are, because knowing what we could end up with is either great motivation of incredibly nerve wracking. ;-) The year I finaled in the Frasier, Rachelle Gardner was a judge. 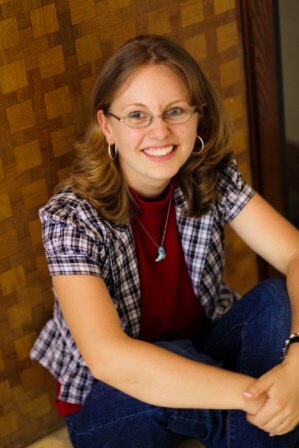 I also happened to have a meeting with her at ACFW where we talked about my story, and I asked her some specific questions about it and she gave me suggestions I've used to change the course of my writing! This year, the final round Frasier judges are: Steve Laube, literary agent. Susan May Warren, best selling author and founder of MBT. And Shannon Marchese, editor for Waterbrook/Multnomah. I agree with your thoughts on the Frasier. Great feedback from the judges! Quick question for you: Where did you find the 1st Chapter Checklist? Do you have to a paying member to get this? Thanks! And Happy Valentines Day! I entered the first-ever Frasier Contest -- and was so surprised to final. It also opened the door to connecting with editors who respect My Book Therapy, Susan May Warren, Rachel Hauck ... and all that the MBT writing community stands for. So, I heartily concur that the Frasier is a wonderful contest! I think they also had the checklist out in a pamphlet at the year before last ACFW conference. Do you still have the stuff from that year? Jeane, it's a GREAT contest to "cut your teeth" on, but also has potential to help the entrant grow in subsequent years. Okay - this contest sounds SOOO good! I've never entered, but maybe - just maybe - I will this year. JUST joined MBT ( but have used exactly NONE of it :::r::: - so busy!) - need to get inot that too!